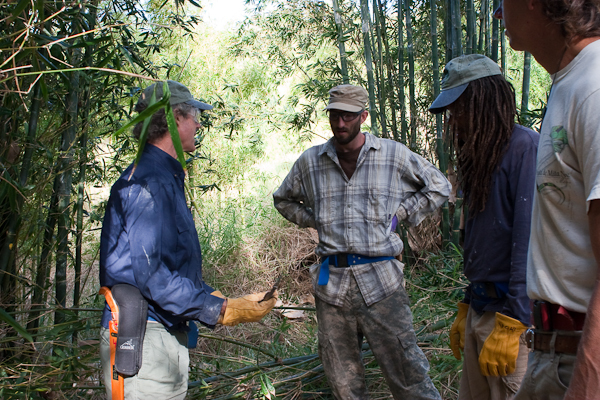 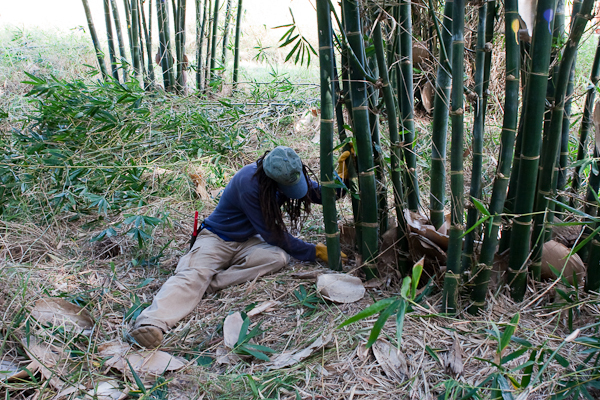 Today we trimmed in our Bambusa hirose grove. 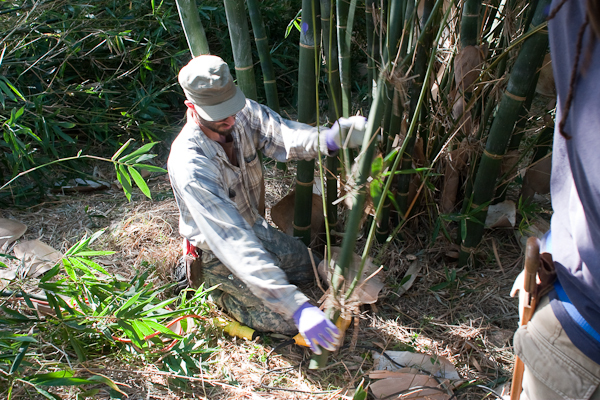 Botanists generally think that hirose is a variant of Bambusa oldhamii, but most of the bamboo folks on the Big Island believe they are separate species, after observing greater strength in the hirose culms. 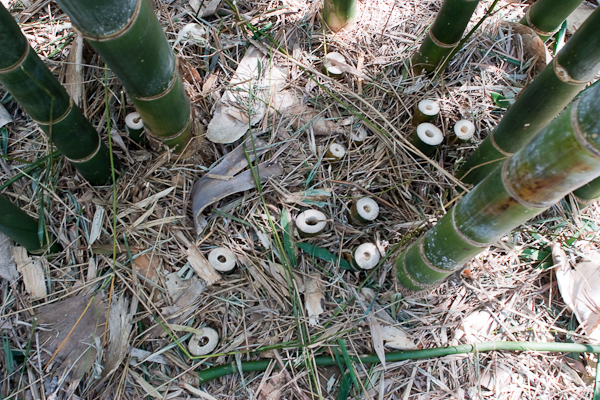 We grow both hirose and oldhamii. 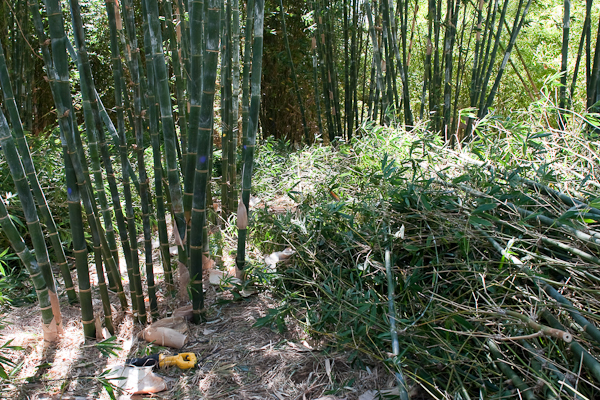 We thinned out around half of the clumps in the grove using our trusty handsaws and a lot of muscle, since our generator didn’t want to cooperate.